A U.K. health campaign shows the effects of both after a month of exposure. An agency from the Department of Health and Social Care in the United Kingdom released a video comparing the effects of smoking and vaping, and claiming that the latter is 95 percent less harmful. As part of a new campaign to encourage smokers to quit, Public Health England (PHE) released a video showing the effects of one month of smoking and vaping on two separate groups of cotton balls. The group exposed to traditional cigarette smoke for a month showed considerably more damage and tar buildup when compared to the vaping group. 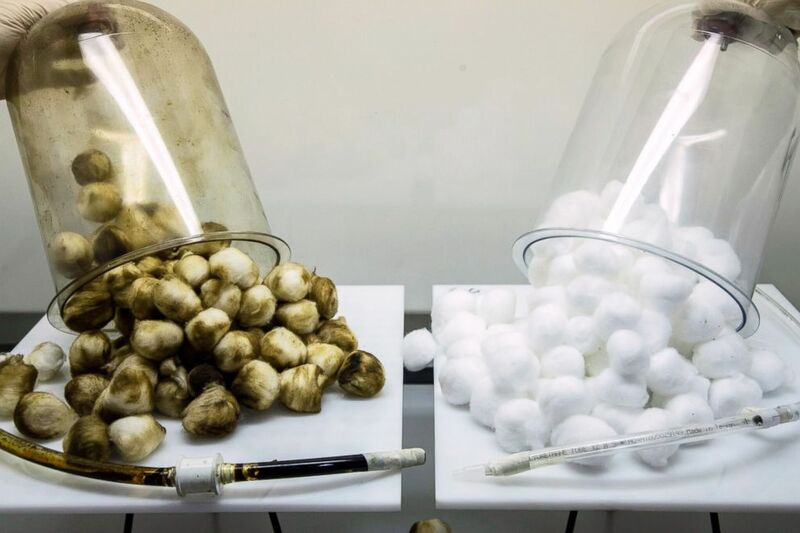 (Public Health England, Smokefree experiment) An image released by Public Health England purports to show the relative difference in tar buildup on cotton balls after a month's worth of cigarettes, left, versus a month's worth of e-cigarette vapor. “It would be tragic if thousands of smokers who could quit with the help of an e-cigarette are being put off due to false fears about safety,” Professor John Newton, director of health improvement at PHE, said in a statement. “This demonstration highlights the devastating harms caused by every cigarette, and helps people see that vaping is likely to pose only a fraction of the risk,” Newton said. The rising popularity of vaping among teens has sparked a debate about whether they are as damaging to health as smoking cigarettes. In 2018, more than 3.6 million U.S. middle and high schools students used e-cigarettes in the past 30 days prior to being surveyed, according to the Centers for Disease Control and Prevention. 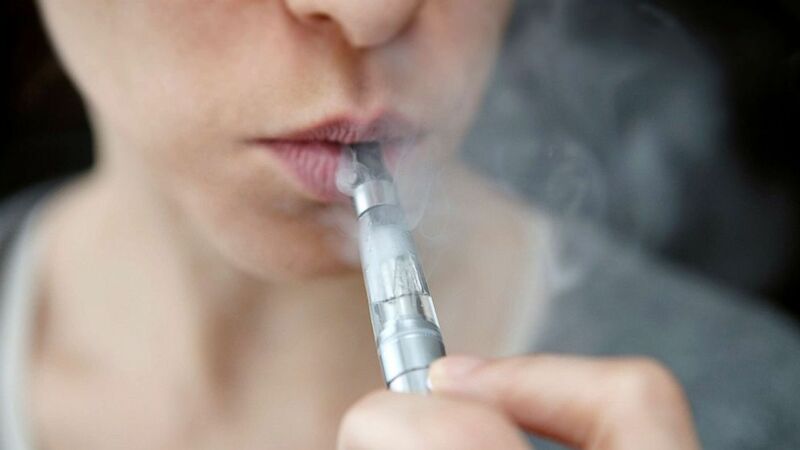 When asked about what's in their e-cigarettes, however, only 13 percent of teens were aware that the liquid contained nicotine, according to a survey from the U.S. National Institute on Drug Abuse. Sixty-six percent believed their e-cigarettes only contained flavoring. The survey also found that 30.7 percent of teenagers who used e-cigarettes started smoking within six months. (STOCK PHOTO/Getty Images) In this undated stock photo shows a person smoking an electronic cigarette. PHE's experiment acknowledged that e-cigarettes are not harmless to people’s health, but the agency said that smokers who quit with the help of an e-cigarette are less likely to start smoking again. A study by the CDC found that many adults are using e-cigarettes in an attempt to quit smoking, but that they do not stop smoking cigarettes and instead continue to use both. Due to the relatively new technology of e-cigarettes, scientists are still learning about the long-term health effects of e-cigarettes.